Yesterday I got a gift. Not just ANY gift. THE gift. A Kitchen Aid stand mixer. To cooks it’s the holy grail of kitchen appliances. I’m pretty certain there’s nothing you can’t do when you have a Kitchen Aid at your side (and no, this isn’t a paid endorsement). I wasn’t sure when I might be lucky enough to have one of my very own but it turns out yesterday was the day, and I couldn’t be happier. I had every intention of making a lemon creme fraiche and beet salad for the blog this week but as I sat drinking tea this morning and and staring at this new shiny object I made a last minute decision to whip up some muffins. 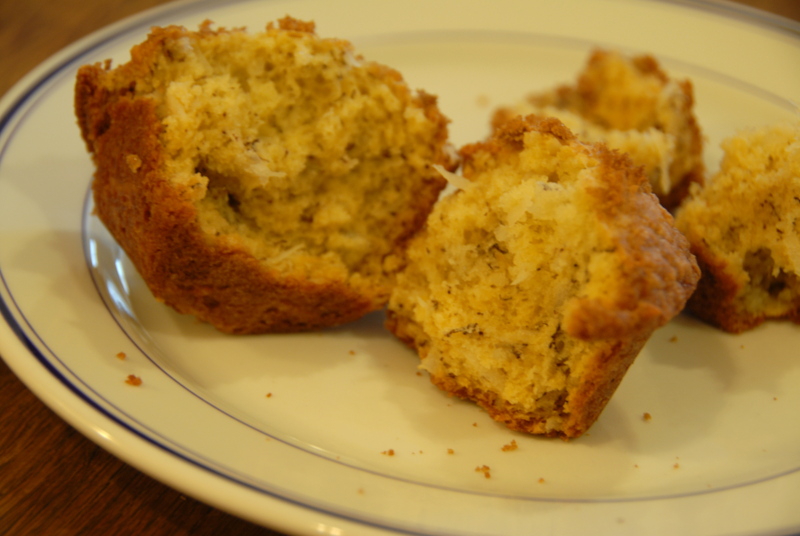 You don’t really need a stand mixer to make these banana creme fraiche muffins but, if you should have one at your disposal – by all means, make use of it! 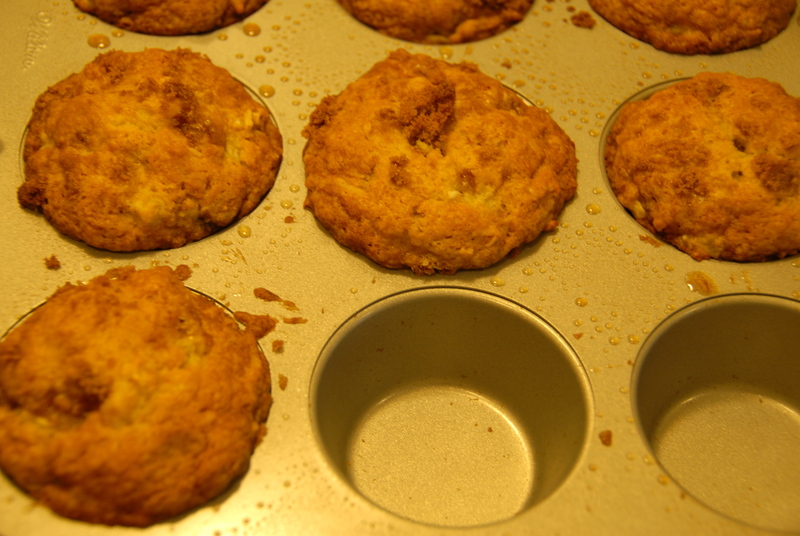 This recipe yields about 16 muffins. Place the flour, baking powder, baking soda and salt in a bowl and whisk to combine. Set aside. Cream the butter and sugar. Add the bananas, let them incorporate and mush together. Next add the eggs. Then in with the creme fraiche, coconut and finally the dry ingredients. Be careful not to over mix. 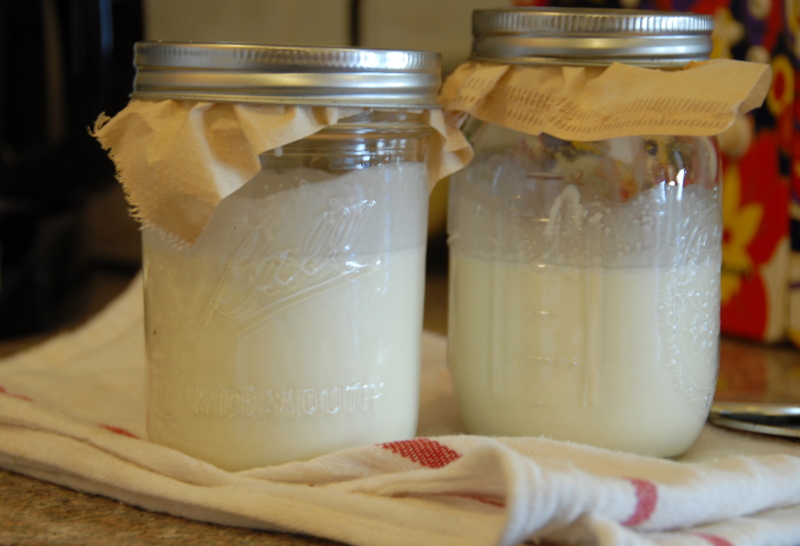 Simply join the cream and buttermilk together in a mason jar and cover it only with a coffee filter or clean kitchen towel. Leave it in a warm area of the kitchen for about 16-36 hours or until it becomes thick. Once it has thickened place a lid on the jar and let it cool in the refrigerator where it should last for about a week. Nutty, just a touch sour and easy as ever to make! This entry was posted in Bananas, Creme Fraiche and tagged baking, banana, coconut, Creme Fraiche, Kitchen Aid, muffins. Bookmark the permalink. This is Kate from cutting board class! I’m so glad I found your blog. 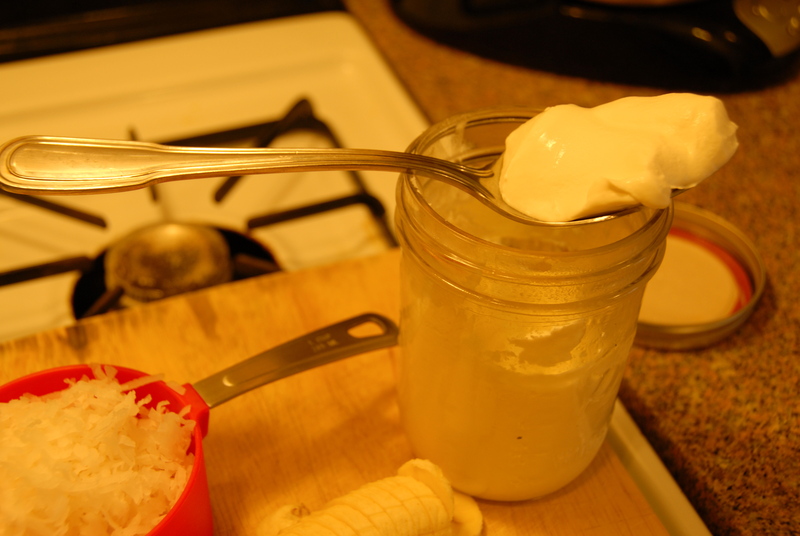 Since I always seem to have buttermilk I’m trying to use, I’m definitely going to make creme fraiche…I had no idea it was so easy! Congrats on the new mixer – what color did you get? I love my baby blue one. Kate, thanks for checking us out! I’m so obsessed with my silver mixer I don’t even mind all the counter space it takes up! Hope you’re enjoying your cutting board as much as I am…I’ve been telling everyone to take a class from Pete!